is the web page of the network of Processwork professionals in Greece. The network is a member of IAPOP, the International Association of Process Oriented Psychology. Processwork Greece welcomes people of every ethnicity, race, religion, gender identity, age, sexual orientation, of every visible and invisible difference. The richness of community lies in its diversity. 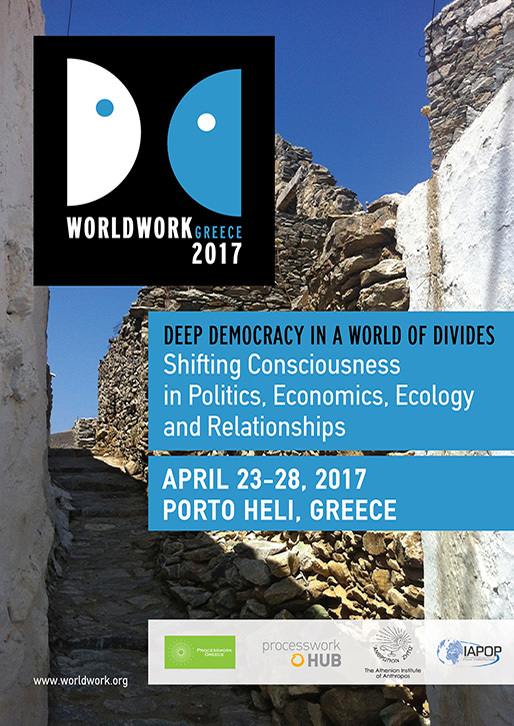 The network is co-organizing the Worldwork 2017 seminar in Porto Heli, Greece, from April 23-28, 2017 in collaboration with IAPOP, AKMA and the Processwork Hub. For more information see here. 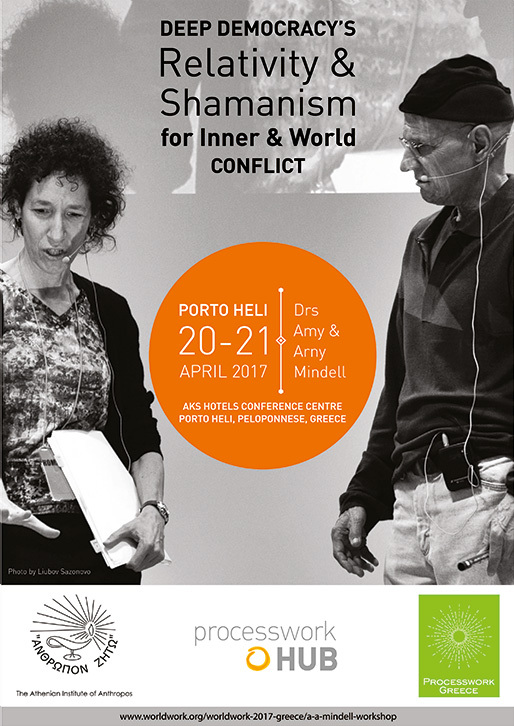 The network is co-sponsoring Drs Amy and Arny Mindell’s seminar “Deep Democracy’s Relativity & Shamanism for Inner and World Conflict” in Porto Heli, Greece, from April 20-21, 2017, in collaboration with the Processwork Hub and AKMA. For more information see here.